Flower petals fluttering down from trees in springtime have always captured my attention; that snow-like quality of delicate, unique little things journeying from above is so beautiful. 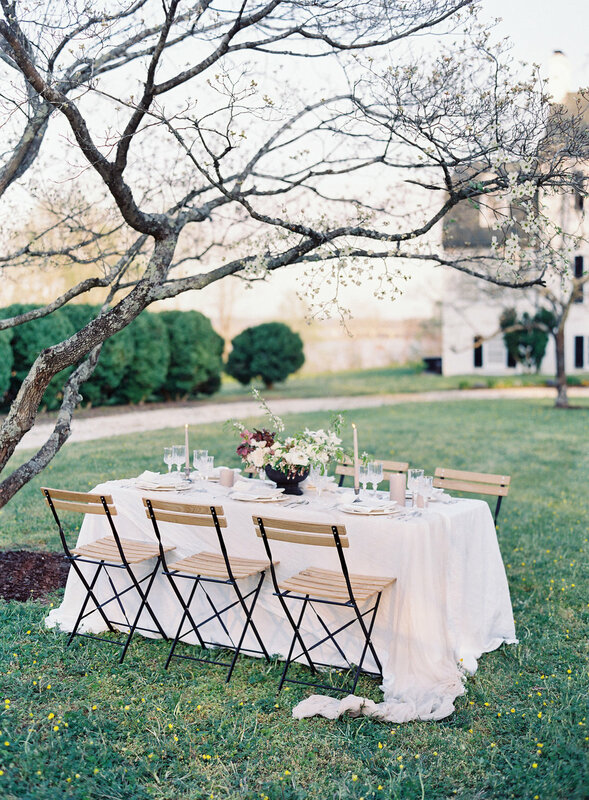 This past spring I was able to collaborate with Rachel May Photography, drawing inspiration from early spring's fluttering petals and dogwood trees, and it yielded one of my favorite editorials to date. 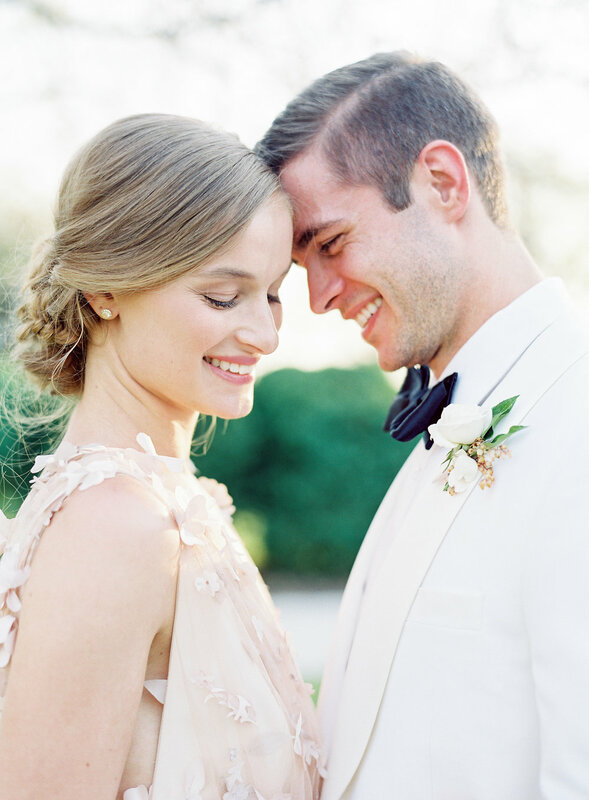 Alexandra Grecco's blush petal gown was the perfect starting point for our spring inspiration, and I brought tiny buds and petals into every aspect of the styling, from the invitation to the shoes to the hairpiece. The braided hairstyles that Emily Artistry created for our bride were so detailed and incredible. 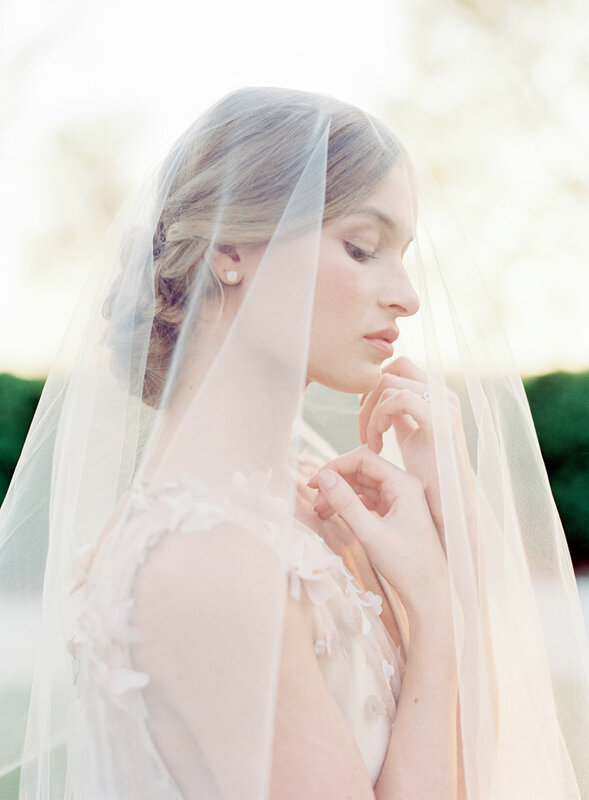 I am incredibly proud to have had this photoshoot featured on OnceWed! Scroll down to the end to view all of our vendors!